Walmart has a huge selection of Disney Blu-Ray + DVD + Digital Combo Packs on sale. 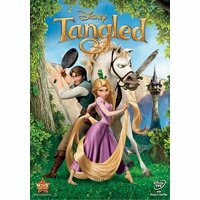 Tangled is now only $10.08 (regularly $36.99). Dumbo is $8.89 (regularly $22.96). There are lots of movies to choose from.